Boutique Cotton Panel Tote. 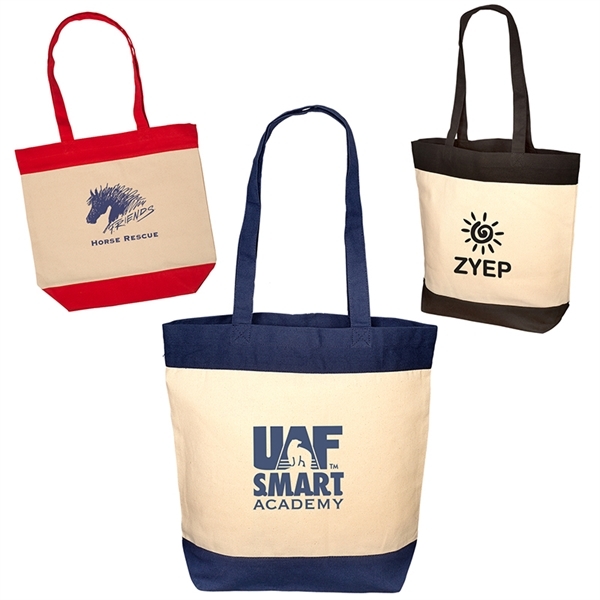 Large open tote bag made of 10 oz. Cotton Canvas with 10 oz. Cotton Canvas accent color base, top panel and handles. Strong Cotton handles (approx. 25" x 2.5"w). Open main compartment. Ideal size and strength for toting books back and forth from your local library. Hand-wash only. Recommended weight tolerance: 15 lbs. Size: 15 " x 14 " x 4.25 "